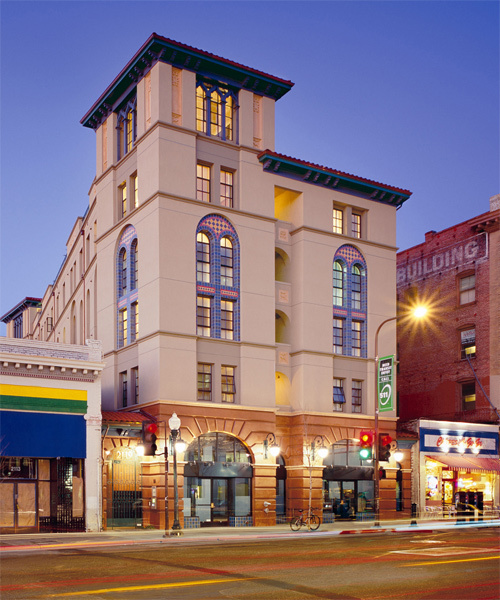 This mixed-use urban in-fill project is located in the heart of downtown Berkeley. It combines forty-four units of low-income and market rate housing with ground floor retail space and a semi-subterranean garage. The building utilizes stacked hydraulic park­ing lifts for its thirty parking spaces. The rooftop garden features over 6,000 sq. ft. of landscaped and furnished terraces, with views of San Francisco, UC Berkeley, the Golden Gate Bridge and the Pacific beyond. The asymmetry of the composition reflects the odd geometry of the site. 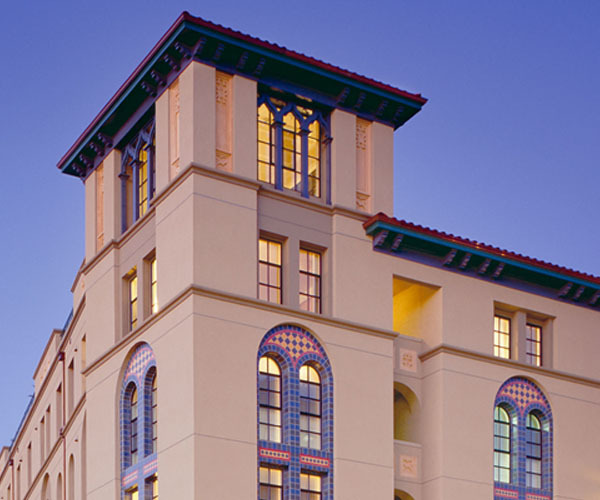 Classical and medieval motifs, combined with the use of stucco, colored tile, timber detail­ing and poured-in place concrete are characteristic of the eclecticism of much of Berkeley’s architecture. The glazed tower is placed on the left side of the front facade so that it is aligned with the central axis of Berkeley’s principal street.